This week, Janifer and Pedro are joined by two of the About Men Radio crew, Silvio La Frossia (who wrote The Warriors piece for TMI) and Richard Rodriguez (who wrote The Warriors piece for AMR) in this crossover event. They will be talking about the 1979 cult movie classic The Warriors and about the reunion event happening in Coney Island this September. They talk about all the film locations, how New York was back in the 70’s, other movies of that era, and what the film means to each of them. To purchase tickets for The Warriors Coney Island reunion, click here. To check out About Men Radio’s website, head to aboutmenradio.com. There you can find links to all their social media and a link to the related Warriors piece, as well as to their podcast, available on iTunes, Stitcher, and AudioBOOM. 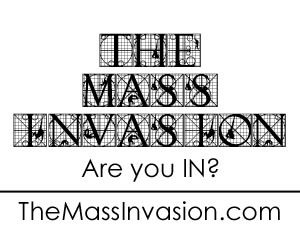 You can follow The Mass Invasion on Facebook, Twitter, Instagram, Google+, YouTube, Pinterest, and Tumblr under “TheMassINvasion”. And please subscribe to our newsletter (which you can do so at our website www.themassinvasion.com) and to our podcast, available on AudioBOOM and iTunes.